The future of product support with ever larger and more complex machinery lies with electronics and the computer. 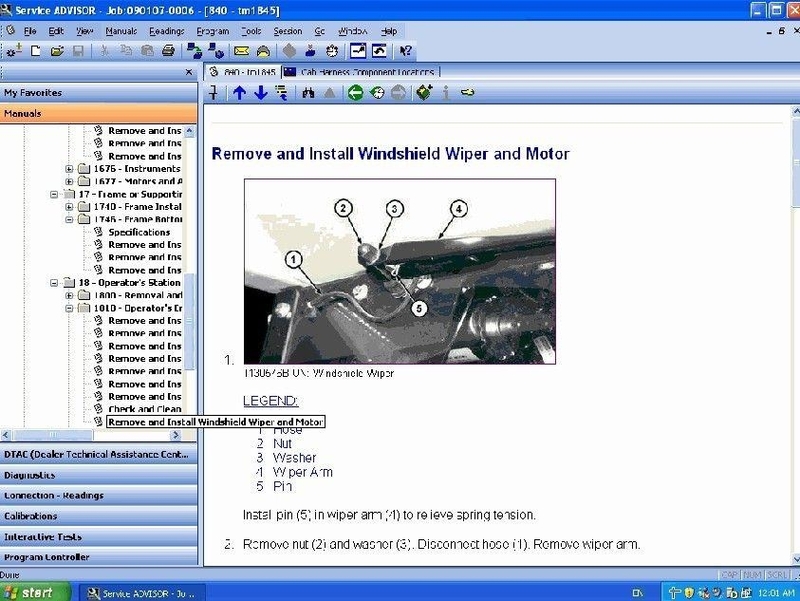 Service ADVISOR is a comprehensive source of all technical information for the dealer technician to be able to diagnose problems and make fast repairs; all in a compact, field toughened laptop computer with technical data on DVD discs. TheService ADVISOR for Commercial and Consumer Equipmentis what Deere technicians use to diagnose and troubleshoot Deere equipment. 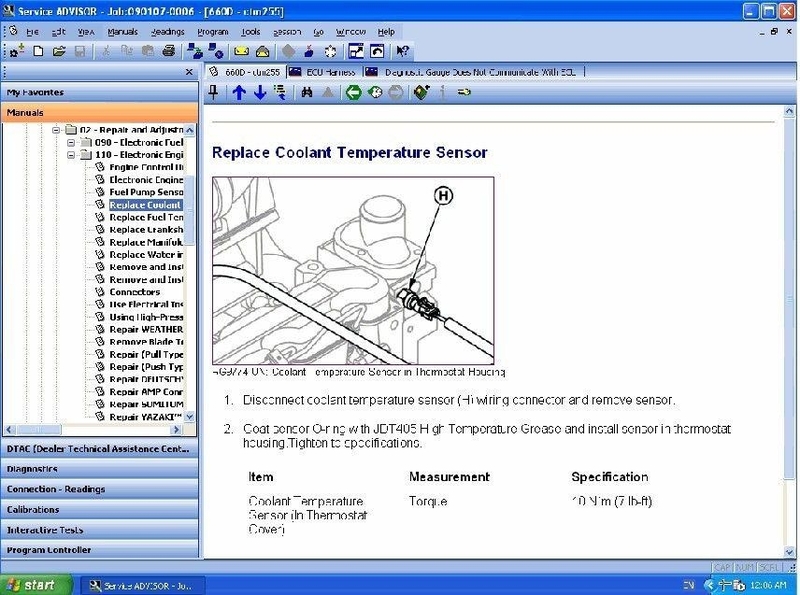 The application allows Deere technicians to quickly and easily find information and resolve problems with Deere equipment. 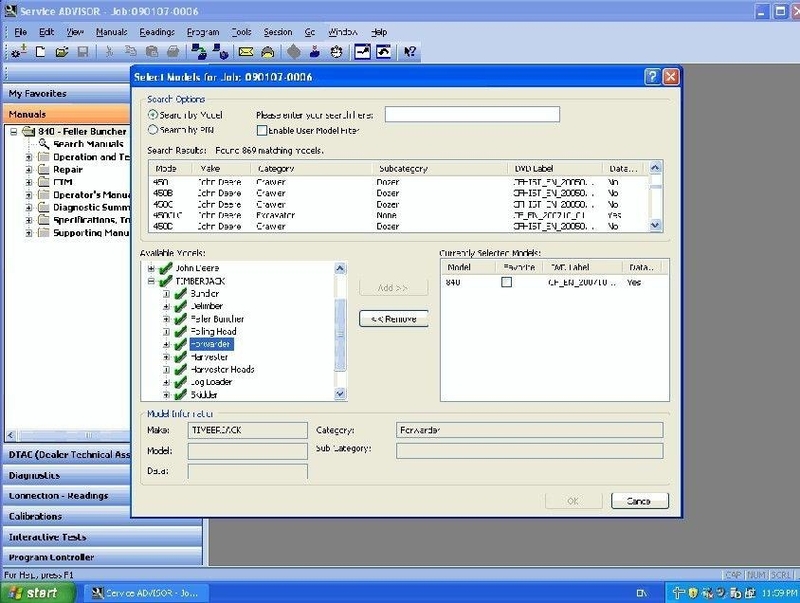 TheService ADVISOR for Commercial and Consumer Equipmentapplication provides access to manuals, the Dealer Technical Assistance Center (DTAC), real time diagnostics, readings, and allows technicians to perform calibrations, run tests, and program controllers.